BBC - BBC Three - Blog: "Be Your Own Boss" needs you! "Be Your Own Boss" needs you! 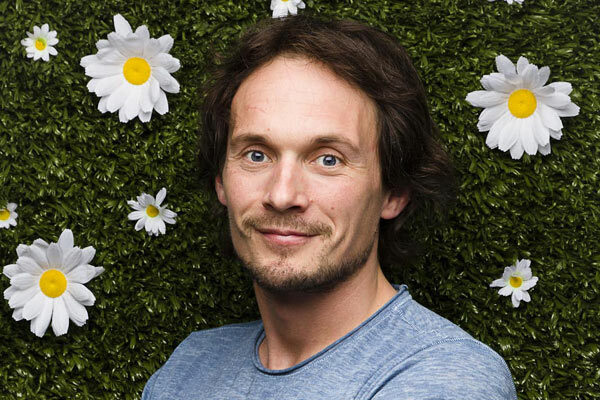 Richard Reed, the co-founder of Innocent Smoothies, is fronting a new series for BBC Three. He has £1million at his disposal, and is looking to nurture and invest in the next wave of young entrepreneurs. In his early 20s, Richard and two friends had a business idea that no one believed in. Eventually one man took a chance on them and their company was born, turning Richard and his mates into millionaires. Now Richard wants to do the same for a new generation of start-up superstars. How much money can you make out of £100? If you’ve got natural entrepreneurial talent, this is one way to test it. The 500 most promising applications will each get £100. As long as it’s legal and ethical, Richard doesn’t care what you do with the money. He just wants to see that you can make that money grow. You’ll need to film what you do with the £100 on your mobile phone or handicam. And once you’ve done that, you and your mates or business partners will be invited to an ‘expo’ to show him what you did with the £100. It’s also your big chance to pitch your business idea to Richard or one of his people. This is your opportunity to demonstrate why you deserve to go through to stage two. At stage two there are only 18 places. Will you bag one of them? There’s more at stake in stage two; between £1,000 and £5,000 of Seed Capital for each of 18 groups. If you’re lucky enough to be one of the 18, you’ll have around 6 weeks to put Richard’s money into action to develop your idea or progress your business. In this time you’ll be tested on some of the other skills you’ll need to be your own boss, to help Richard decide which of the 18 make it through to the third and final stage. It’s the final stage. Now things get really serious and so does the money. If Richard likes what he sees, he could offer life-changing investment in your venture. Business isn’t for the faint hearted and neither is Richard. You’ve got to live and breathe your idea and be 100% committed to making it a success.